Kicking off a new feature here on the blog I call Midnight Society. It'll be a series of posts looking back on the classic Nickelodeon TV show that aired on Saturday nights -- or Snick, rather -- that I hope you'll enjoy. 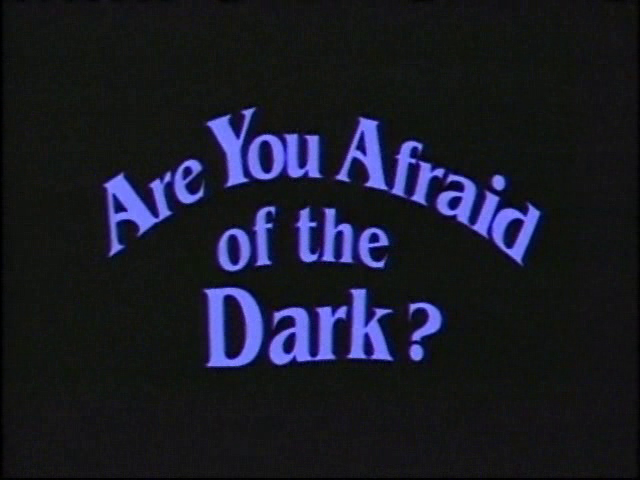 My goal is to run through the entire series of ARE YOU AFRAID OF THE DARK? and post at least one entry per week, maybe more, for all seven seasons (ran from 1992 to 2000). Hopefully we all remember AYAOTD?. It was only the best show to ever grace Nickelodeon! AYAOTD? 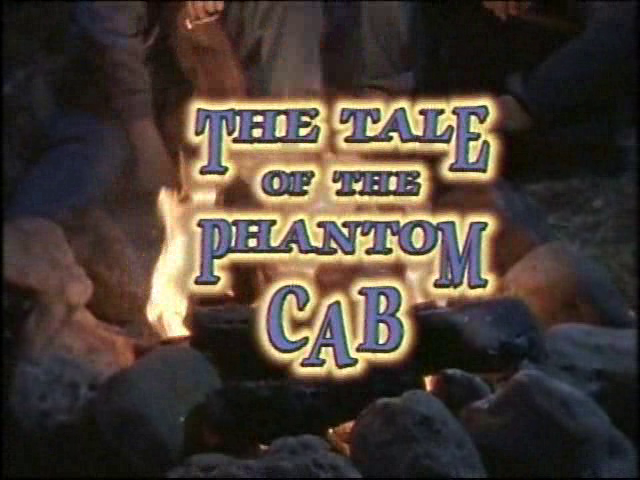 -- S01E01 -- "The Tale of the Phantom Cab"
The debut episode started off the familiar eerie music as the waving title card came into view. We're then introduced to the main cast, the Midnight Society, as they prepare to initiate a new member. The Midnight Society is a group of kids who gather around a campfire in the middle of the woods every Saturday night to tell scary stories. 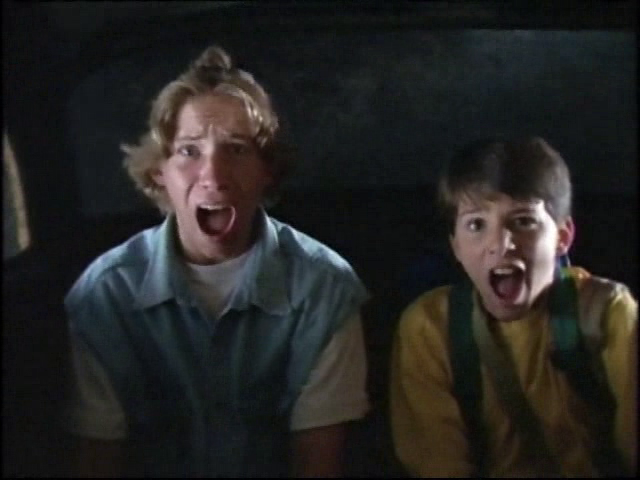 And each story begins, "Submitted for the approval of the Midnight Society, I call this story..."
The story a newbie tells is "The Tale of the Phantom Cab" and it starts out with two brothers, Buzz and Danny, going on a hike through the woods. The older brother is a tough guy and the younger brother is a nerd. After misusing a compass for a few hours, the boys are lost. Night time has already settled and the boys are getting cold. From out of the darkness appears a man with a leather jacket and baseball cap named Flynn. He leads the boys to the "good doctor" who happens to live in a hut in the woods. Yeah, doesn't look like a place I'd want to venture inside to, either. Danny comically comments, "Who lives here? The Seven Dwarfs?" And before the boys know it, Flynn disappears. Eek! A mysterious hermit living in the woods! This had to scare the pants off any pre-teen up late watching Snick. 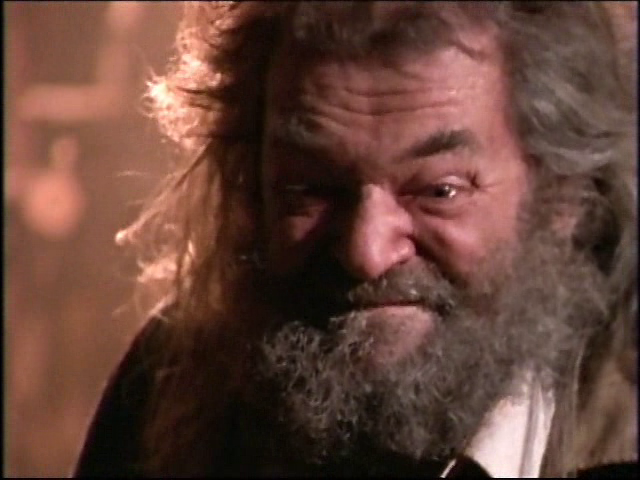 The strange man is Dr. Vink. Fink? No! 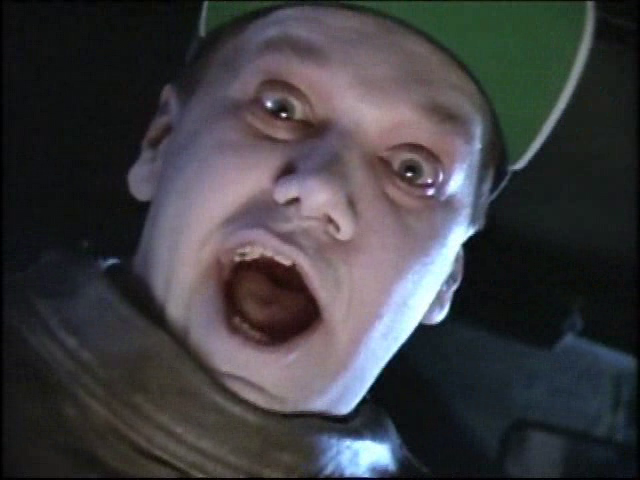 Vink, with a Vuh-vuh-vuh-vuh! The man tells the boys three riddles, which one they can't answer. He sends the boys on their way and tells them a taxi will pick them up. The boys leave the hut and walk a bit until a taxi pulls up. They jump in and immediately realize the driver is Flynn! He yells this as his head spins backwards. Holy cow. Nightmares much? Needless to say, the boys' reaction isn't too different from what I'm sure mine was upon my initial viewing. Flynn tells the boys that they're going to crash into a tree in thirty-seconds unless they can solve the final riddle. The riddle: What is weightless, can be seen by the naked eye and when you out it in a barrel, you make it lighter. The boys rack their brain for the answer when finally, after much stalling, Buzz yells out, "A hole!" The taxi vanishes just before they crash into the tree. But judging from the tree in the picture above, there's no way that tree was there forty years ago. But oh well, I'll let that goof slide. The boys are rescued by a park ranger. A voice over tells us that the Phantom Cab was never seen again. And when the boys brought police to the location of the hut, nothing remained but an old stone foundation covered in weeds. The end. All the members of the Midnight Society unanimously vote that the new guy, Frank, is in. He told one helluva story. Also, did I mention that a young Rachel Blanchard (TV's CLUELESS, ROAD TRIP, TV's 7TH HEAVEN) plays one of the members of the Midnight Society named Kristen? Next episode: S01E02 -- "The Tale of Laughing in the Dark"
I forgot just how creepy that "Sort of died!" moment was.